The Buena Park skatepark was constructed using a mix of prefab quarter pipes, concrete stairs, ledges, a pyramid, manual box, and some rails. 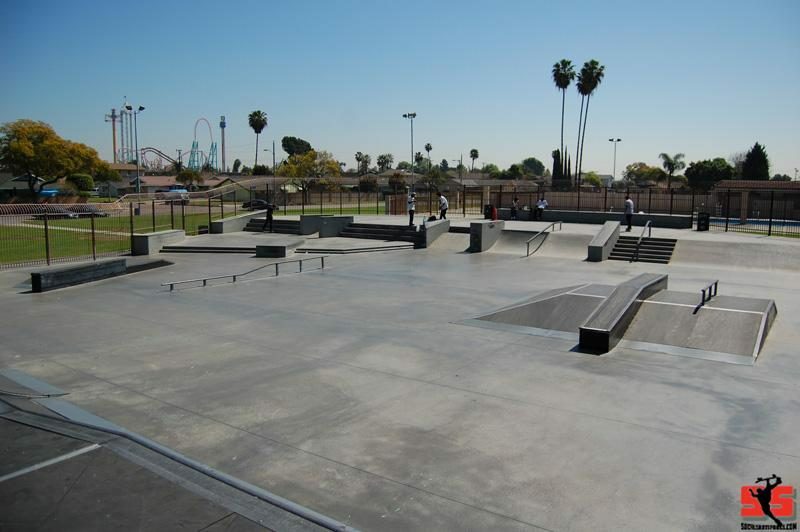 The design of the Buena Park Skate Park is geared toward the street skater and was constructed using a mix of prefab quarter pipes, concrete stairs, ledges, a pyramid, manual box, and some rails. Nothing over 6' and no flow for the flow bros like myself which will definately keep me away from this one.